Young people are preparing to enter a labor market that is becoming more reliant on skill level, with growth in certain sectors that are often off the radar of students. Additionally, students often have unrealistic expectations of the workforce and can become intimidated by the idea of going to college and not making it in the real world once they have graduated. It is up to educators, employers and community leaders to help make the connection for our future workforce. A student choosing their education and career path is one of the most important decisions they will ever make. While some factors that contribute to the decision-making process—such as economic status, gender, ethnicity and the strengths and interests of that individual—are difficult to impossible to change, other factors due to societal conditioning, such as gender stereotyping, that can be rethought and retaught. By allowing young people to learn about and experience workplaces that break gender stereotypes, students can rethink what is possible. “While research suggests that gender stereotyping can deter both girls and boys from pursuing specific careers and that it can be countered by improved information, certain occupations appear so unfriendly to those not of the dominant gender that richer approaches based on first-hand experiences are called for,” writes the Organization for Economic Co-operation and Development (OECD) in a recent report. We can work to overcome these barriers through a human-centered, experience-driven approach to career education which includes opening up experiences at a younger age, engaging employers through partnerships and reducing youth disconnection. Starting career education early is important. Rethinking how we are delivering career guidance in schools, including starting the process in elementary school, can help students see how they fit into the workforce from a young age. Career interests tend to be relatively stable throughout upper-secondary education but does not mean that career guidance intervention should wait until then. We must begin introducing students to career paths before secondary education begins and when career-oriented thinking is still new and emerging. An exemplary role model for this system is Cajon Valley School District and their World of Work (WoW) initiative co-developed by Ed Hidalgo, Chief Innovation and Engagement Officer of the district. Hidalgo spent nearly 20 years in the world of talent acquisition and 11 years at Qualcomm hiring from all over the globe, where he gained his perspective on the importance of helping every child find their place in the world of work. One of the biggest concerns for students across the nation is that what they are learning in school is not relevant for them, and in turn, not relevant for future employers. An innovative and modern curriculum being introduced at Cajon Valley is helping younger students identify and develop their unique abilities that are then matched with in-demand jobs while providing them with recession-proof essential skills needed in today’s workforce. “Career development is a human process, not just an academic exercise,” says Hidalgo. 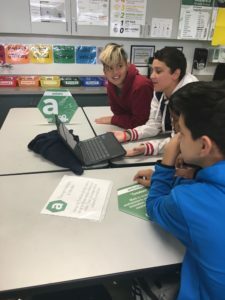 Cajon Valley makes career education fun and engaging by using the RIASEC framework, which helps children identify their own strengths and interests through interactive activities that match a student’s RIASEC theme with San Diego priority sectors and in-demand jobs. The vocational interest typology developed by Holland (1959,1997) is the most widely adopted theoretical framework for interest measurement, which is why Cajon Valley uses RIASEC activities as a part of its regular curriculum. Read more on the nature and power of interests in early education. The Cajon Valley Union School District’s vision is, “Happy Kids, Engaged in Healthy Relationships, on a Path to Gainful Employment”—a statement that accurately defines how students are aligning careers with education. The WoW initiative has now passed its first year of deployment in the classroom. Read about Hidalgo’s findings and reflections in this blog post. What does WoW look like in action? 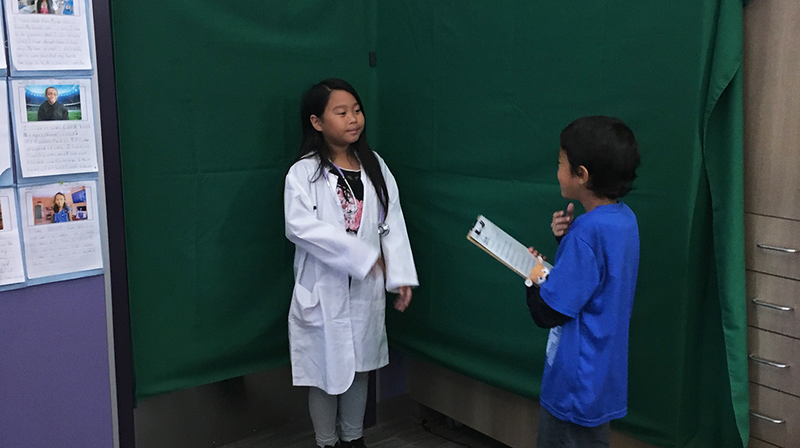 Get a glimpse inside the classroom with this dietitian simulation at Fuerte Elementary. If you are an employer interested in partnering with Cajon Valley to participate in the Nepris “Meet A Pro” experience, sign up for free here. If you are an educator interested in connecting WoW to your classroom, get the resources you need here.